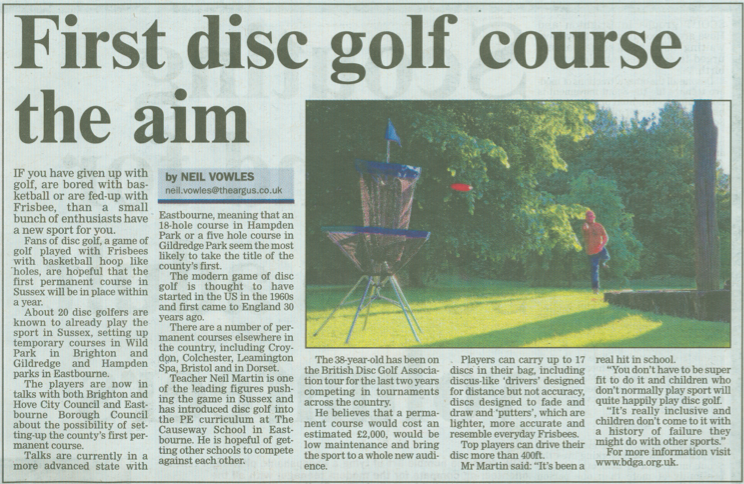 Disc Golf in the Argus today. 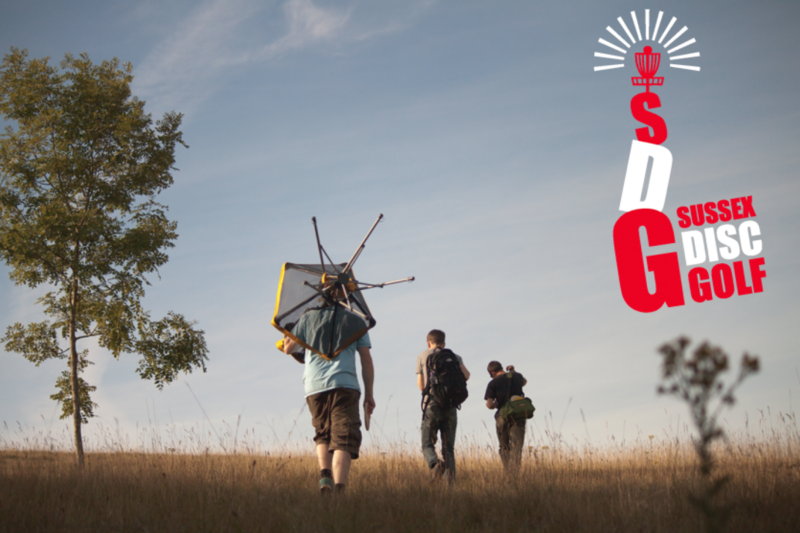 We mainly play at Stanmer Park in Brighton and Gildredge Park in Eastbourne. We do not have a permanent course so if you contact us we can bring portable baskets and show you around.